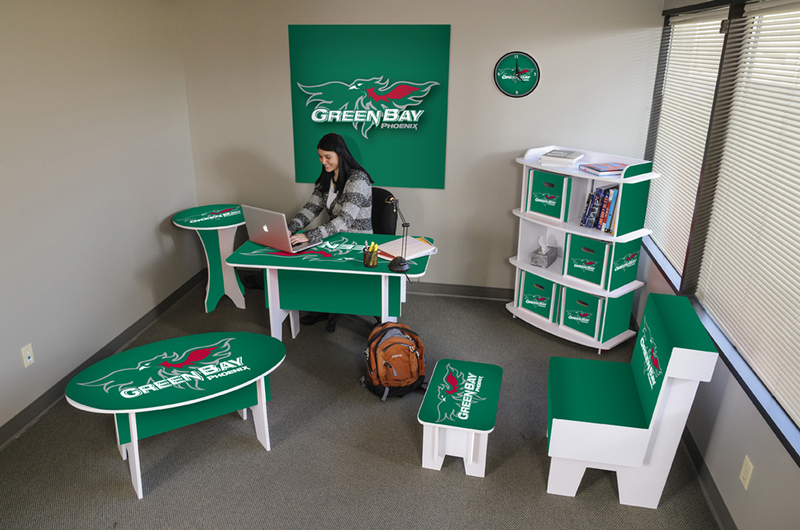 Green Bay | Color Ink, Inc.
All this week FunDeco will be revealing new product designs for our newly licensed colleges… first up, the University of Wisconsin-Green Bay! Green Bay is a city known for men who shine on the gridiron, but you’d be mistaken to overlook the women. UW-Green Bay boasts one of the most successful women’s basketball programs in the nation, finishing first or tied for first in the Horizon League every season since 1998. Over the past two years, the Phoenix have compiled an astounding 65-4 record, reaching the Sweet Sixteen in 2011. The women on the diamond have made headlines as well. After being picked to finish in the cellar of the Horizon League in ’05, the softball team captured the conference tournament title en route to knocking off 6-seeded Oregon State in the national bracket.